iPhone 8 Plus Price, Review, Deals, Cost, & Sales! 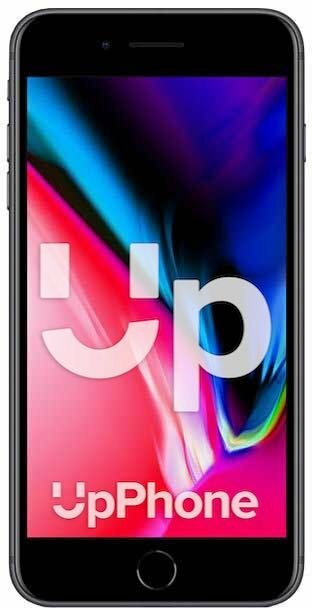 Home / Compare Cell Phones / iPhone 8 Plus Price, Review, Deals, Cost, & Sales! With the longest lasting battery and most powerful processor, the iPhone 8 Plus may just be the best option for people who use and rely on their smartphone frequently throughout the day. The iPhone 8 Plus has a large 5.5 inch retina HD display with True Tone and a special coating that protects against fingerprint smudges. Despite having significantly larger bezels, the display of the iPhone 8 Plus is only 0.2 inches smaller than that of the iPhone X. The camera is really what separates the iPhone 8 from the iPhone 8 Plus — if you’re really into “iPhoneography”, you’ll want to hear this! The iPhone 8 Plus camera is a 12 MP wide-angle and telephoto camera capable of 10x digital zoom. Unlike the iPhone 8, the iPhone 8 Plus also supports optical zoom. If you’re more into recording videos, you’ll be excited to know that the iPhone 8 Plus can record 4K video at 24, 30, or 60 frames per second (fps) and 1080p HD video at 30 or 60 fps. Although the iPhone 8 Plus doesn’t have increased storage capacities from the iPhone 8 (64 GB and 256 GB), you’ll still have more than enough space to download all of your favorite movies, T.V. shows, songs, games, apps, and more. With dual stereo speakers at the top and bottom of the phone, the iPhone 8 Plus can be used as a wireless speaker whether you’re at the gym, park, beach, or wherever else you like to enjoy your favorite songs. One of the stereo speakers is located near the top of the phone next to the front-facing FaceTime camera, while the other is located at the very bottom of the phone to the right of the charging port. The Home button of the iPhone 8 Plus has a built-in fingerprint sensor which can recognize the prints of any and all of your fingers. This sensor, known as Touch ID, can be used to confirm purchases, unlock your iPhone, and so much more. The iPhone 8 Plus was one of the first iPhones to be equipped with an A11 Bionic chip, the fastest and most powerful chip used in an iPhone upon its release. The A11 Bionic chip’s efficiency cores are vastly superior to those of the A10 Fusion chip (used in the iPhone 7 & 7 Plus), increasing speeds by about 70%. The A11 Bionic chip’s three-core graphics processing unit (GPU) is also about 30% faster than the A10’s GPU. No iPhone has a better battery life than the iPhone 8 Plus! The battery life of iPhone 8 Plus is designed to last for up to 13 hours of internet usage, 14 hours of wireless video playback, up to 21 hours of wireless talk time, or up to 60 hours of wireless audio playback. The iPhone 8 Plus is also one of the only iPhones that has fast-charging capabilities, meaning that it can charge up to 50% battery life in approximately 30 minutes. The iPhone 8 Plus continues the trend of water-resistant iPhones with an ingress protection rating of IP67. This means that the iPhone 8 Plus is completely dust-resistant at all times and water-resistant when submerged about 3 feet (1 meter) underwater. The iPhone 8 Plus’s taptic engine provides a feedback that makes the Home button feel like a button, even though it’s not a physical button. No iPhone is designed to have a longer battery life than the iPhone 8 Plus. Along with the iPhone 8, the 8 Plus was the first iPhone to have a beautiful True Tone display. The iPhone 8 Plus has an incredibly strong glass back. The iPhone 8 Plus was one of the first iPhones to offer a 256 GB storage capacity. The Home button of the iPhone 8 Plus has a Touch ID fingerprint sensor.